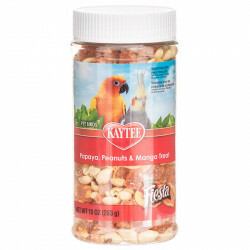 Parakeets are native to lush, tropical environments, and as such are accustomed to generally sweet, rich foods including tropical fruits. 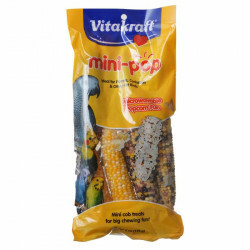 Their uniquely shaped beaks feature a longer upper half that appears to lay flat against the face. 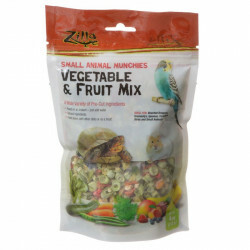 This beak design allows parakeets to eat plants, vegetables and fruits. 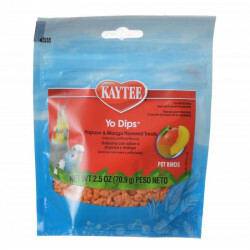 Their food is held in the smaller, cup-like lower beak. 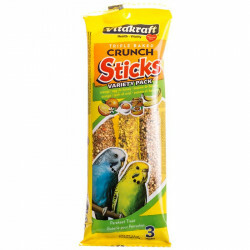 Parakeets can clamp their beaks more tightly than most birds, allowing them to keep a solid grip on foods and nesting supplies. 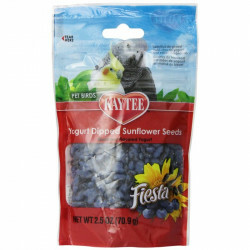 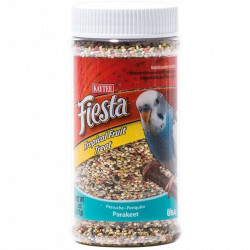 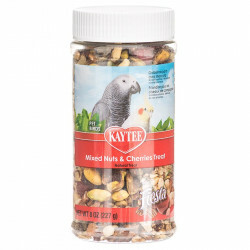 Pet Mountain's Parakeet Treat store features wholesome, tasty treats from the most trusted names in bird care, including Kaytee, Ecotrition, Vitakraft and more. 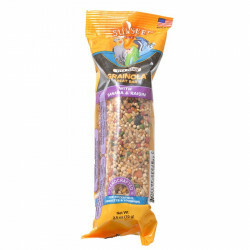 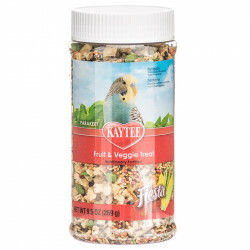 Kaytee Forti Diet Pro Health Oat Groats Treats fortified with vitamins and nutrients to add variety and flavor to your bird's regular diet. 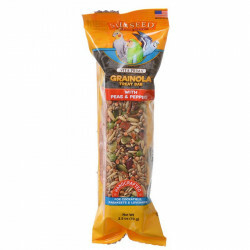 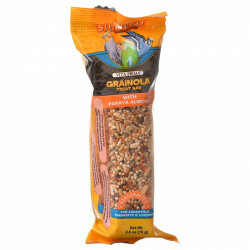 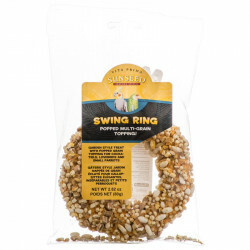 These natural oat groats are a good source of protein for all birds, and contain only natural, delicious tasting ingredients. 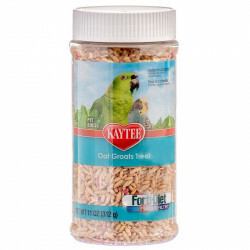 Ecotrition Dri Greens Field Fresh Bird Food is a superior blend of high quality vegetable greens formulated to promote your bird's health and vitality. 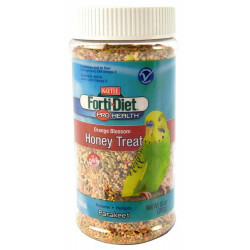 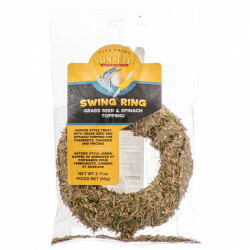 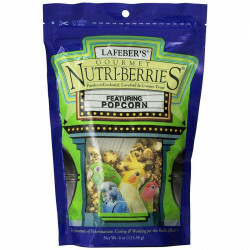 All birds enjoy this wholesome green treat! 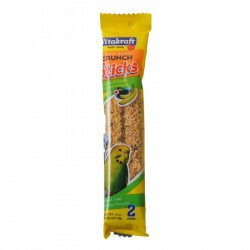 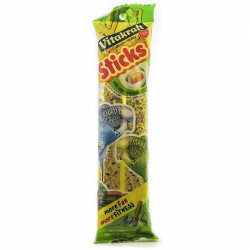 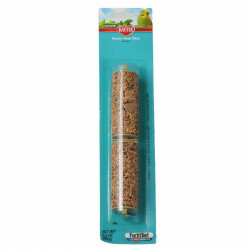 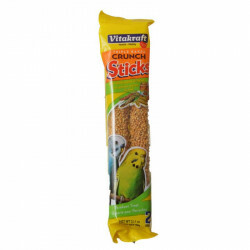 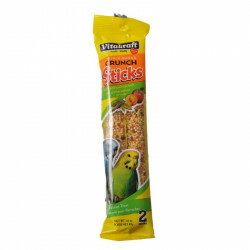 Vitakraft Parakeet Egg Sticks are an enjoyable treat for your birds. 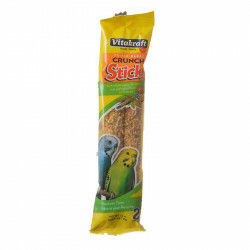 The triple baking process for these sticks bakes in the egg and essential vitamins and minerals, and the wooden stick inside is ideal for providing a natural trimming surface for your parakeet's beak.